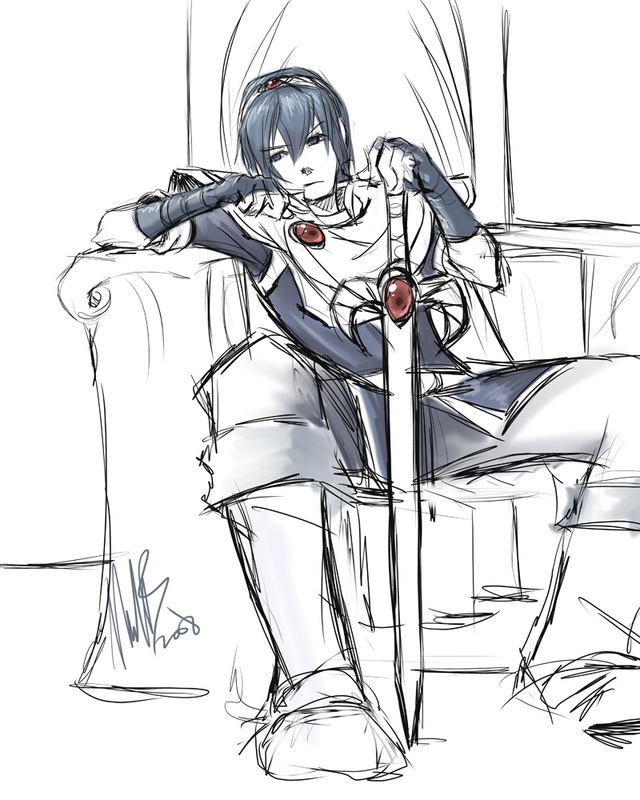 Got bored, have a quick Marth doodle. First time drawing him. xD Even though you didn't shade it ALL, it is sooooo good. Awesome, he's my best character. Great pose and expression. Simple, but I really like it.